Thank you for attending The Snow Queen on December 8th and 9th, 2018. We talk with choreographer and Artistic Director, Risa Kaplowitz, to bring you inside her creative process and share with you her advice for young dancers. Have you always had a passion for choreography? There is a song in “A Chorus Line” that says, “I used to jump and dance around the living room.” Well, that was me. I had a little pink stereo and lots of ballet albums. I would put on a record, make up dances to the music, and show my parents. I also had a passion for playwriting and would put on plays involving neighborhood kids and elementary school friends. I was also fortunate to have had many dances choreographed on me, so I was intimately involved in the choreographic process from a young age. My early ballet teacher, Tensia Fonseca always created original ballets and so did Stuart Sebastion, the director of Dayton Ballet, where I was a principal dancer for many years. They both created their own stories and made original scores using classical music. I have not yet created a brand new story, but working with these creators at a young age was a real gift and gave me the courage to explore choreographic possibilities. Choreographing a story ballet is a vast undertaking. How do you approach the creative process? First I try to find a story to which I feel a visceral connection. In the case of Cinderella, for example, I grew up watching the annual showing of the Rodgers and Hammerstein musical version of Cinderella on TV, and it was so magical and romantic. I thought it would be fun to tackle as a ballet. Even though many other choreographers have already done so, I felt I could make something fresh out of it. Next, I research everything about the story. In this case, there are two major versions – one by Perrault and one by the Grimm Brothers. Perrault’s version is the sweeter we all seem to know best. Meanwhile, the Grimm version incorporates a tree instead of a fairy godmother. I decided to mix the two versions in a way that makes sense to me. Next, I find the music that I feel will best tell my version of the story. It is like finding a needle in a haystack - hours and hours and hours of listening to music. But when I find it, the entire process takes on a magical aura. It is almost as if the ballet begins to write itself. Finally, it is time to cast and choreograph. If the structure and point of view is strong, it is just my job to find steps and movement that convey the narrative and characters. What are the challenges of telling a story through dance? Advantages? It can be very difficult to tell a story without words, but I have always loved gesture and movement and I do believe that even a little dance can express far more than words. Martha Graham said, “The body says what words cannot,” and I completely agree. I would just add that music says so much also and when you move the body with the music, a window to the soul of a story and character opens. Which choreographers have influenced you the most; whose work did you love to perform? I love everything by Fredrick Ashton. His narrative ballets so beautifully express the characters. He is whimsical, romantic, and his ballets communicate the human condition. I greatly admire George Balanchine’s brilliance, especially his musicality and intrinsic patterns. I was lucky to have performed in both of these choreographer’s works. More currently, I am in awe of Alexei Ratmansky’s ability to bring a modern sensibility to movement and storytelling and of Justin Peck’s ability to bring so much originality and energy to everything he touches. How do you compile the musical score for a new choreographic work? Thank goodness for Garage Band! When I find a composer I want to use, I purchase almost every piece they wrote (and many versions of each piece). Then I treat it as a jigsaw puzzle, moving pieces of music around and trying different versions out in Garage Band until my gut tells me it’s right. The music and I become co-creators – sometimes I need to bend it to my whim and other times the music leads my narrative. Travel behind the scenes to catch a glimpse of Princeton Youth Ballet in action. 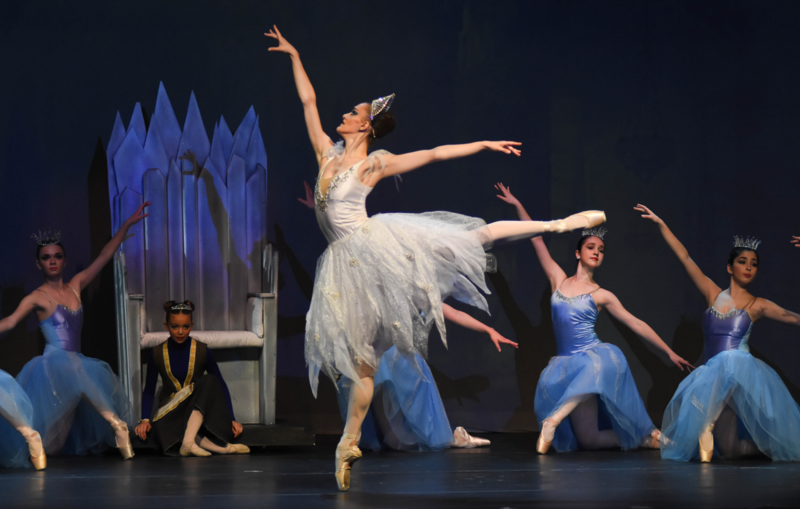 Set to Tchaikovsky's resplendent musical score, the beloved fairytale ballet of The Sleeping Beauty comes to life in an all new production by Risa Kaplowitz - May 4th and 5th. Princeton Youth Ballet offers special pricing and programs for all Scouting Troops and their families. ALL tickets for Girl Scouts and Boy Scouts are only $12 each (a limited number of discounted seats available, service charge not included). Ticket price includes a goody bag with fun patch and an opportunity to meet and greet the dancers. Tickets for the Brownie Dancer Badge Workshops are $18 each (limited availability, service charge not included). Princeton Youth Ballet's collaborations with arts organizations throughout the region have provided opportunities for the company's young dancers to perform with other artists and musicians at various venues. In May and June of 2013, PYB was invited to dance with the New Jersey Symphony Orchestra in their youth concert series as part of their touring program, Dancing Around the World. Performances were held in the largest theaters in the state including the Performing Arts Center in Newark, the State Theater in New Brunswick, and the Trenton War Memorial Theater. PYB dancers have also danced with Boheme Opera New Jersey, West Windsor High School North Orchestra, and the Youth Orchestra of Central New Jersey. If you are a representative of a local arts organization seeking to collaborate with Princeton Youth Ballet, please contact us at info@princetonyouthballet.org.